I really had no idea what to enter this week for i heart faces. I've done a couple of senior photo sessions, but they were kind of just the typical poses. 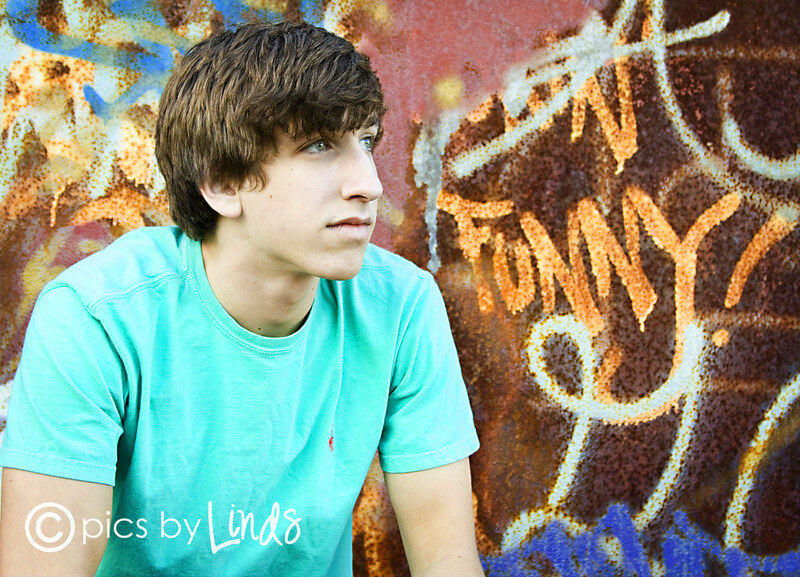 Then I remembered this picture of my brother that we took at this old river warehouse during his senior shoot. You kind of have to know my brother for this picture to be funny; he has a pretty laid back, easy going personality. He's a funny guy, but not one of those people that you'll find in the middle of a group of people at a party making everyone laugh. That's why I think this picture is hilarious. He's not smiling, he's kind of looking off, and the word funny is right there. It just captures him so well, and the background just adds to the picture as a whole. Plus, I love all of the bold colors... I'm a sucker for a photo that has colors that just 'pop'. Be sure to check out all the other teen entries this week over at i heart faces!